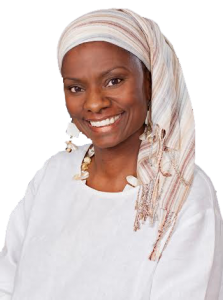 Dr. Sabrina N’Diaye is an integrative psychotherapist and founder of the Heart Nest Center for Peace and Healing in Baltimore. There, she lovingly serves women, couples, other healers, and small groups. Her approach to healing is a blend of wisdom, science, and ancient spiritual practices. 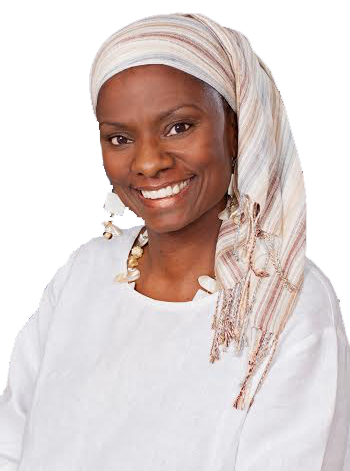 She is a student of the late Sufi Master Sidi Muhammad al-Jamal of Jerusalem, and incorporates Sufi healing into her with individuals, families, and communities. Sabrina has served as a guest lecturer for the Maryland University of Integrative Health, and adjunct faculty at Saybrook University. She is also a proud faculty member of the Center for Mind-Body Medicine, where she teaches the art of self-care to healthcare professionals around the globe. She is currently serving the Center as a teacher and guide for Jordanian healthcare professionals who are in service to Syrian refugees. Dr. Sabrina is a highly-respected member of the treatment community, and frequently lectures on cultural diversity, spirituality, stress management, self-care for healers, addictions, and the “magic” of connection. Her many audiences include police departments, flight attendants, healing artists, peacebuilders, and aspiring writers. She is currently writing her first book, The Laugh of Love, based on her maternal grandmother’s ability to transcend multiple traumas and chronic illness.